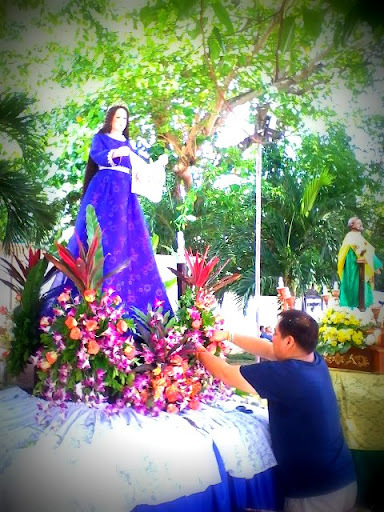 Around this time last year, I had the privilege of observing Semana Santa (Holy Week) in Tuguegarao (my hometown). After more than fifteen years, it was wonderful to be part of the festivities again. Through my pictures, I hope to share with you my experience. 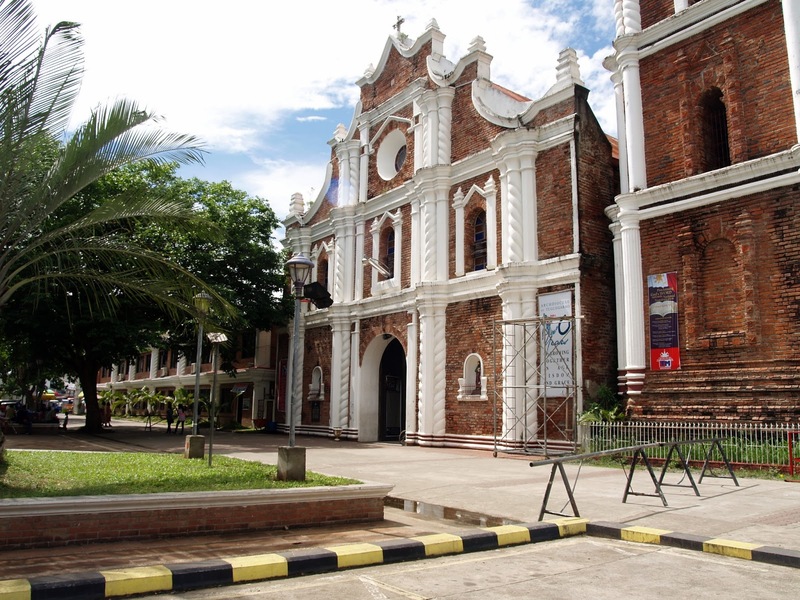 The cathedral was built in the 1700's and is considered one of the biggest in the region. 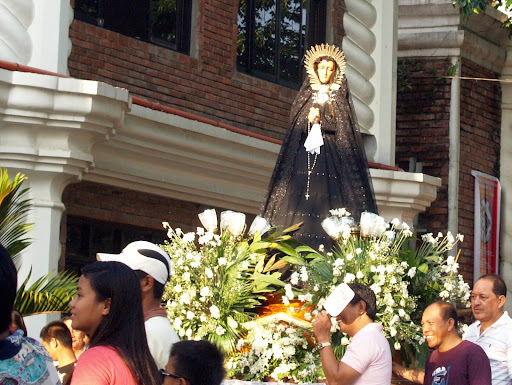 During Sundays and holidays, the cathedral is fully packed with devout Catholics. Just like any other Catholic church, Sts. 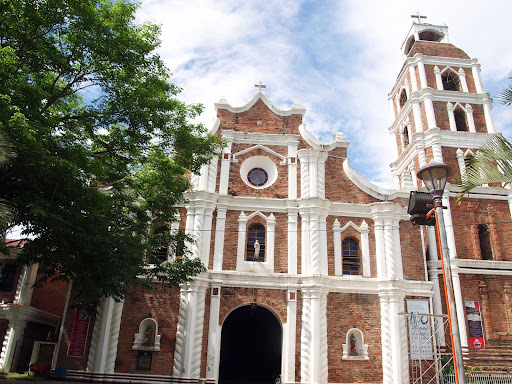 Peter and Paul Cathedral's Holy Week schedule is full. 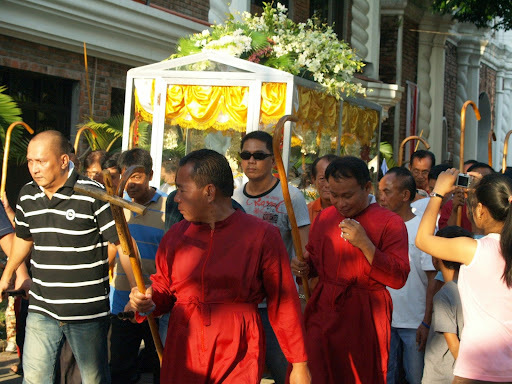 One of the highlights is Good Friday's "Way of the Cross" procession. 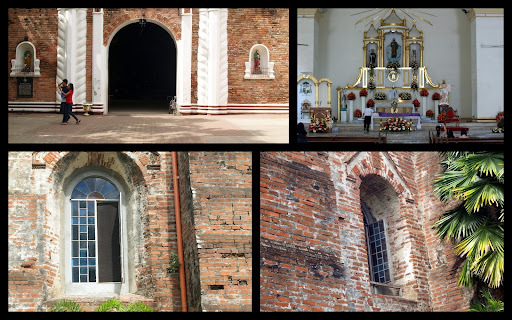 Here are some images. Each image is assigned to a family or clan. 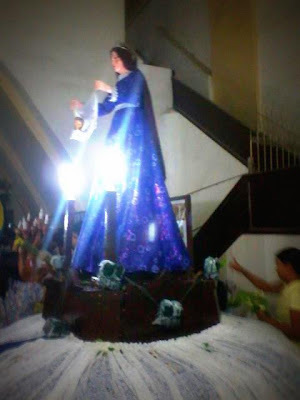 For almost 50 years now, our clan has been in charge of the statue of Sta. Veronica. With the permission of my cousin Nanny P. - I am sharing pictures from his Facebook wall. Shown above is my brother Francis, who owns a local flower shop in Tugue called Blooms Central, and is in charge of the flower arrangement. This is an annual Holy Week activity that my whole family and relatives look forward to since our childhood. It has been an obligation handed down to me by my maternal uncle about 28 years ago. 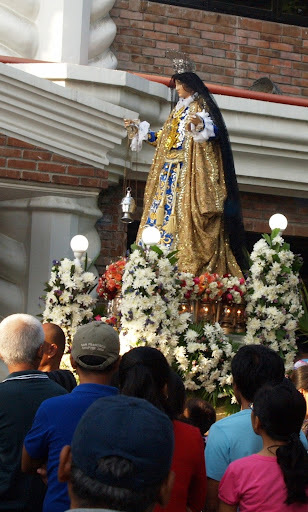 The holy week of the family is incomplete without honoring SANTA VERONICA during Holy Thursday and Holy Friday processions. And when the procession ends, all the flowers are gone. 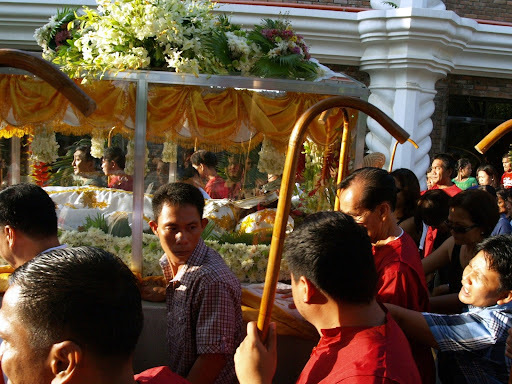 The town folks scramble to get flowers throughout the procession, as their panata or belief is that the flowers will bring them luck. 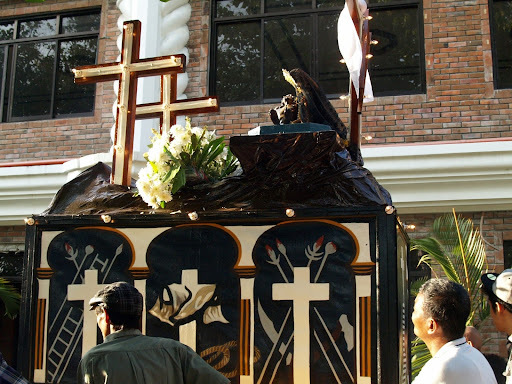 What ever you believe in, I hope the true meaning of Holy Week - which is of love and hope - reaches your heart!. And may the real gift of the risen Lord be yours to keep...Happy Easter! Thank you for sharing your experience Malou. It's been awhile since we have experienced the same festivities. 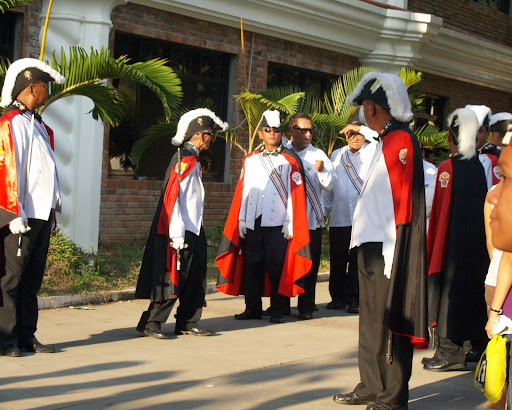 We usually go to Bulacan to partake in the activities. Thanks for sharing! 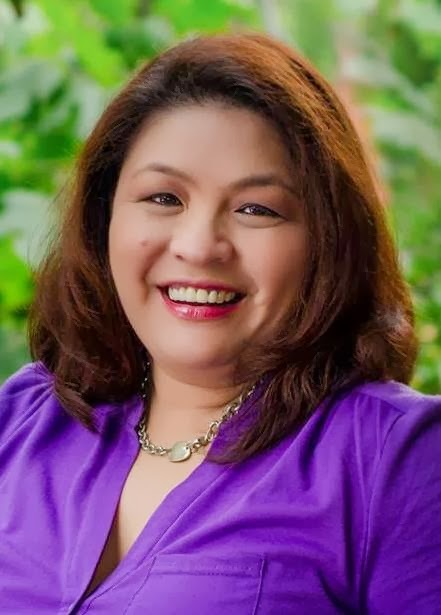 Happy Easter, Malou! 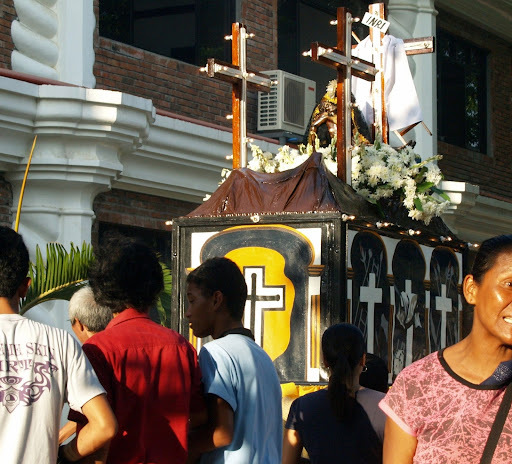 there is nothing like HOLY WEEK in the Philippines dear! I use to read pabasa would you believe? Was describing it to my kids and di nila ma-gets?! need to get a copy and start that tradition here! I also love the SALUBONG on easter dawn, and the bisita iglesia. A way to roam and re-connect with your faith and love for God. hope you had a great Easter too! BTW, posted about the Bedside table series, check it out if you have the time! thanks a bunch!